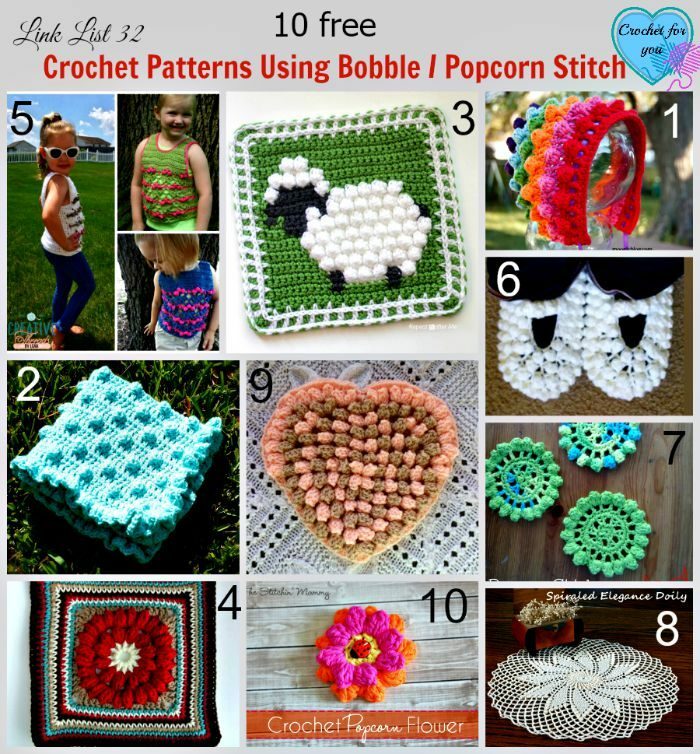 This is a quick post about crochet corn applique. 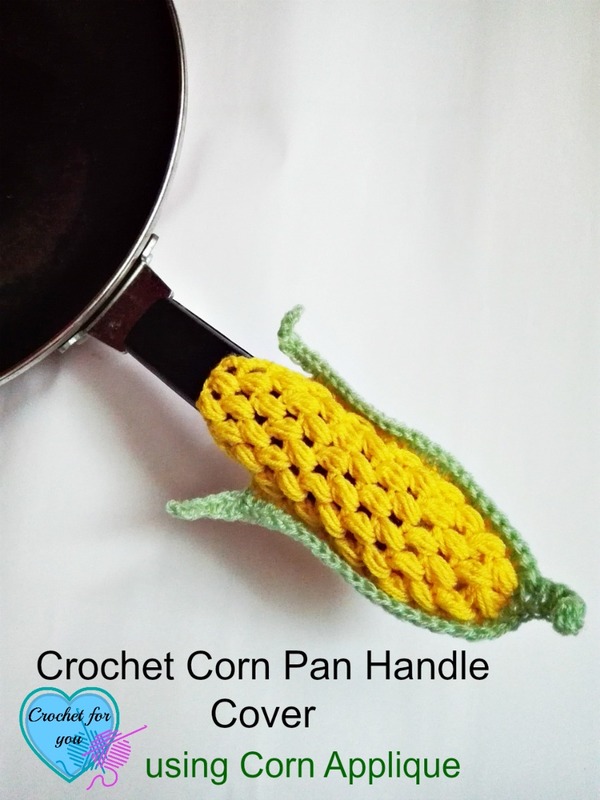 So what had happened to corn applique after a few hours later I posted free pattern. 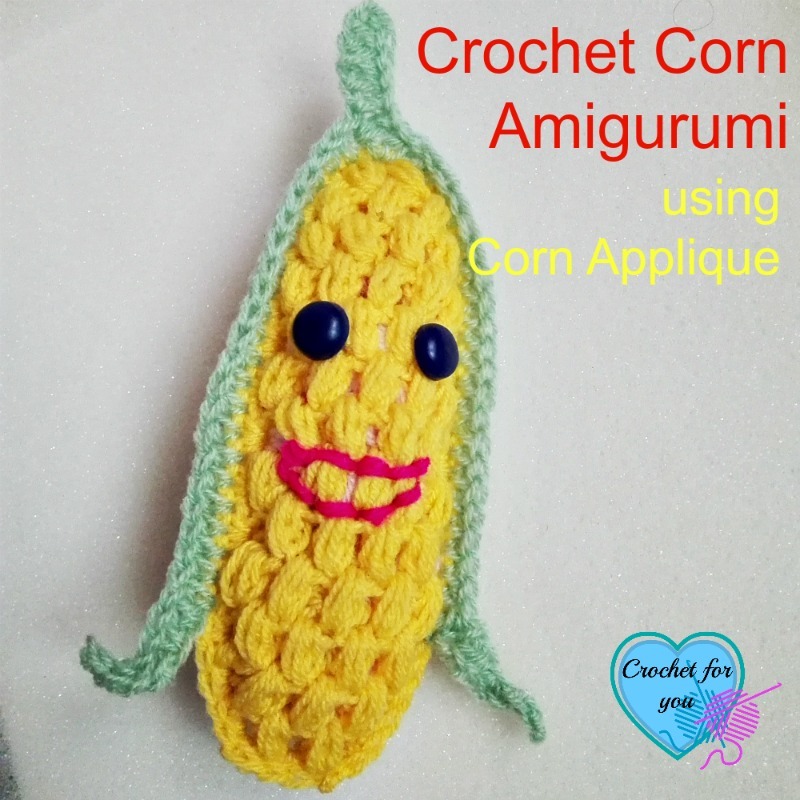 See the corn applique pattern here. 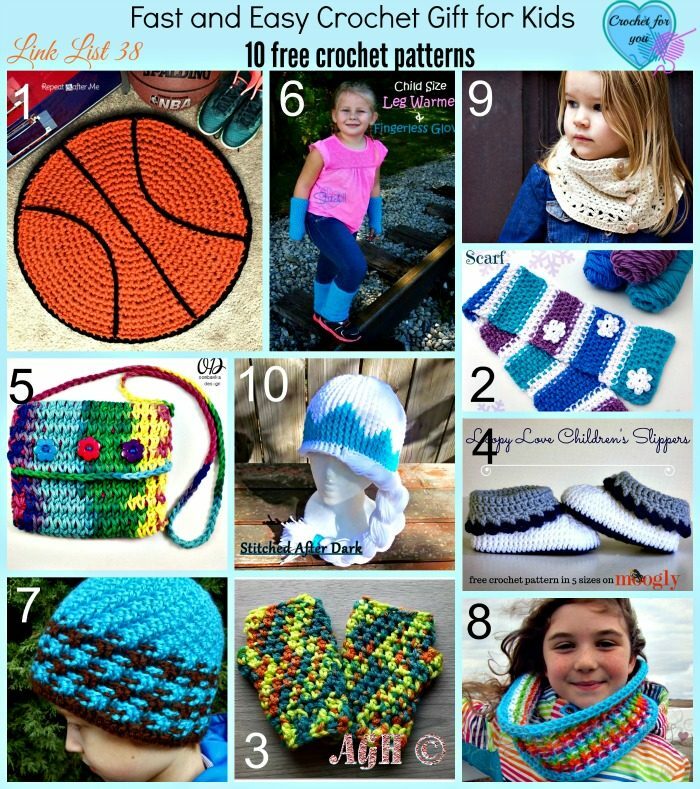 First, it turned to a crochet hook organizer, then an amigurumi and last (maybe not last) a crochet pan handle cover. I’m so excited to show you all these suggestions and tips. This is my new crochet hook organizer. 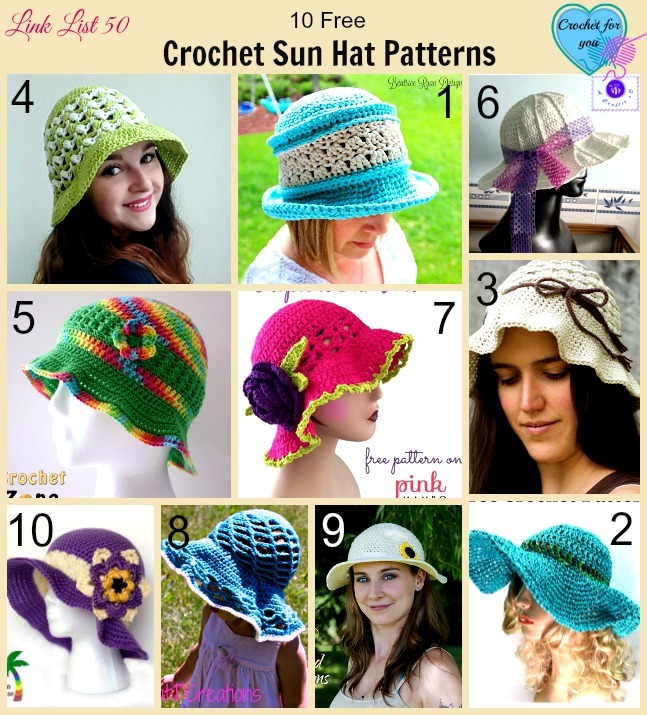 With the crochet hook organizer, there you can see my next free pattern I hope to release in the below image. 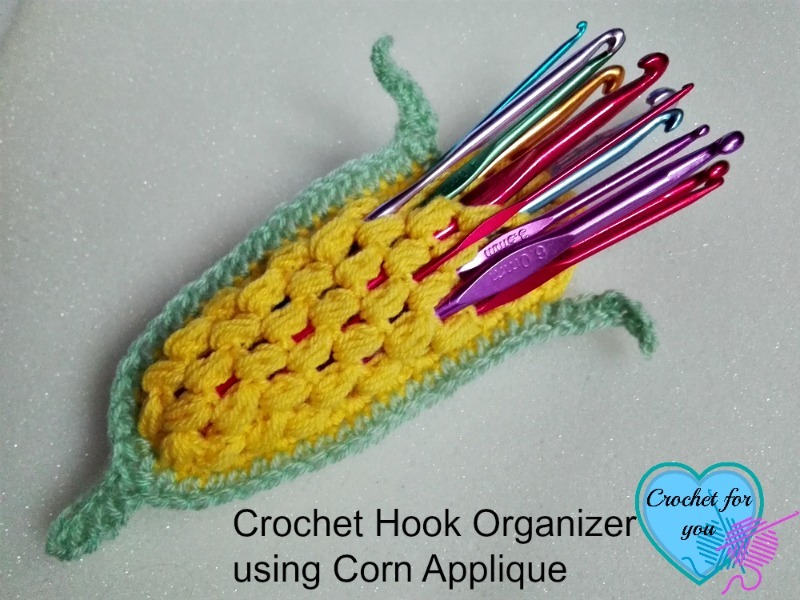 How to use Crochet Applique as a Crochet Hook Organizer? I stuffed scrap yarns into the corn applique as I told you in the pattern. You have to stuff very small amount of scrap yarns to make this hook organizer. Otherwise, the hooks can’t go through the spaces and you may can’t insert your all hooks into the body of the corn. 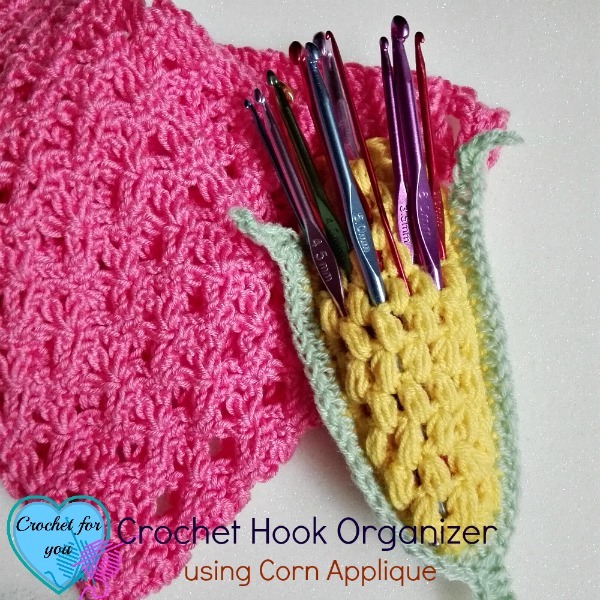 I could insert my all crochet hooks 2.5 mm to 8 mm through the top holes in corn applique. I really like the way it turned out as a hook organizer. Here is the little amigurumi. 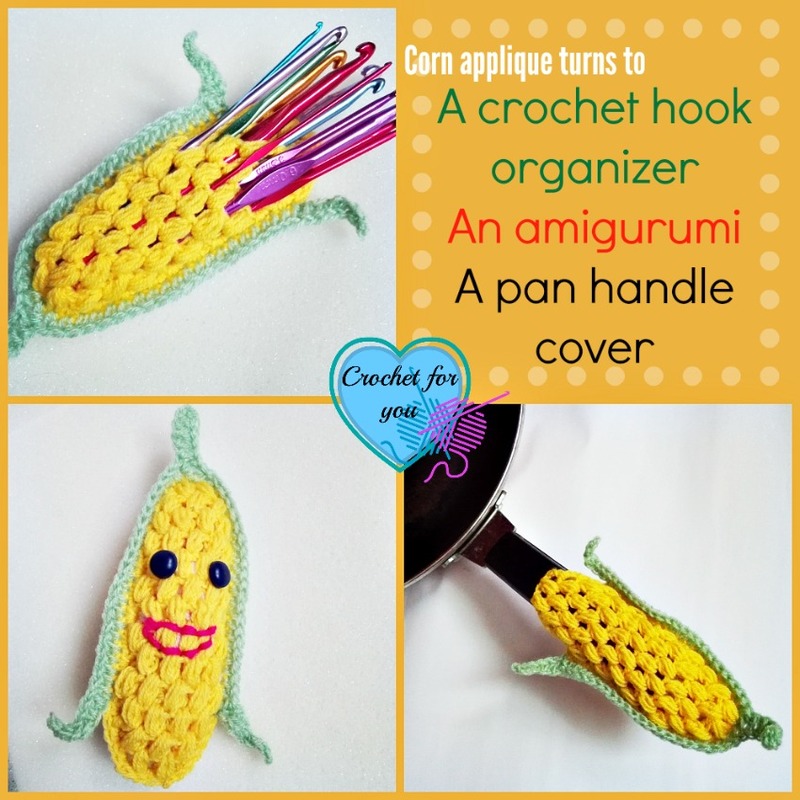 Make a 3D corn applique filling fiberfil or scrap yarn to the corn applique. Use the method of Look At What I Made stuffing bombs. Attach 2 small black buttons for the eyes and sew a mouth. 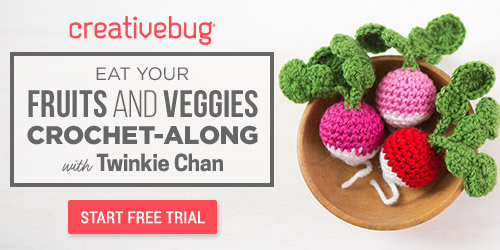 Here is the little funny amigurumi. Pan handle cover is another discover. 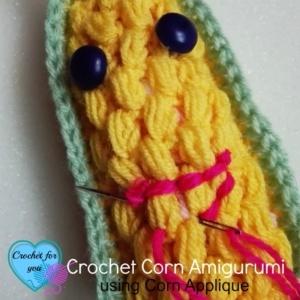 Make 2 corn applique first. To make an open side edge. 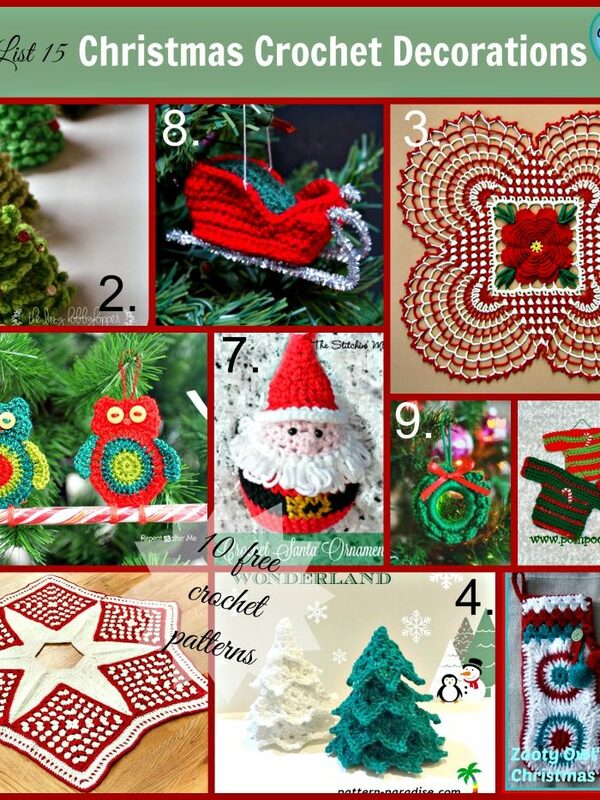 Start joining them together at row 10, and crochet around until other side of row 10. Then you can see open side made. Now start making leaves. 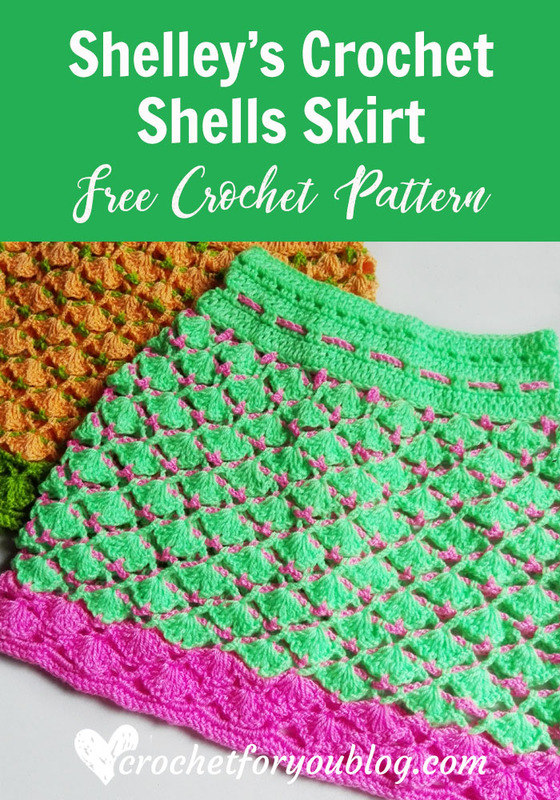 Click here to go to the pattern. I hope you enjoyed this post and try to make some for your personal use.